All of West Indies' top five batsmen were bowled as they finished day two of the second Test with Bangladesh in tatters, a mammoth 433 behind their opponents' first-innings total of 508. The home side almost doubled their overnight score of 259-5 in Dhaka on Saturday, thanks largely to 136 from Mahmudullah and excellent contributions from Shakib Al Hasan and Liton Das. And West Indies are staring down the barrel of a 2-0 defeat in the two-match series after crumbling to 75-5 in the final session as Shakib (2-15) and Mehidy Hasan (3-36) ripped through the top order. Kraigg Brathwaite, Kieran Powell, Sunil Ambris, Roston Chase and Shai Hope were all comprehensively bowled - the first time the top five have all been dismissed in such a manner in a Test innings since 1890. A day that ended in shambolic fashion might perhaps have unfolded entirely more positively for the tourists had Mahmudullah not been given the benefit of the doubt on 32 when replays of a low catch to second slip off Kemar Roach proved inconclusive. 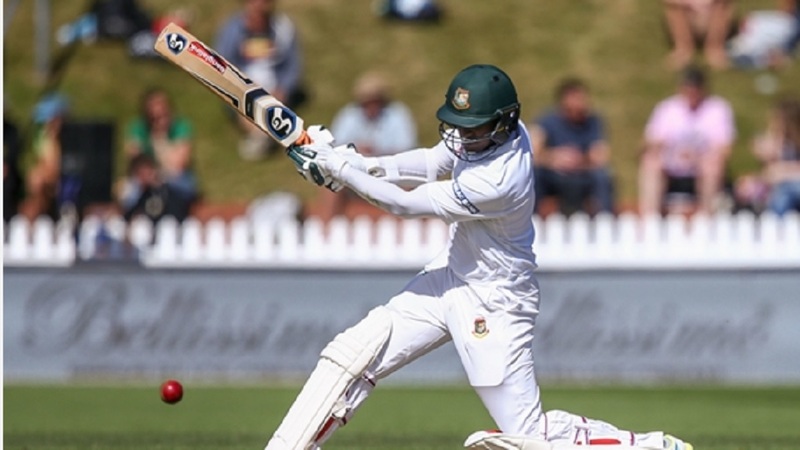 Shakib, who resumed on 55, struck three successive fours off Chase in the following over and advanced his score to 80 before edging Roach to gully. His replacement Das picked up the baton, reaching fifty with a drilled four through the covers off Chase before he was bowled by Brathwaite when attempting a reverse sweep on 54, ending a stand of 92. 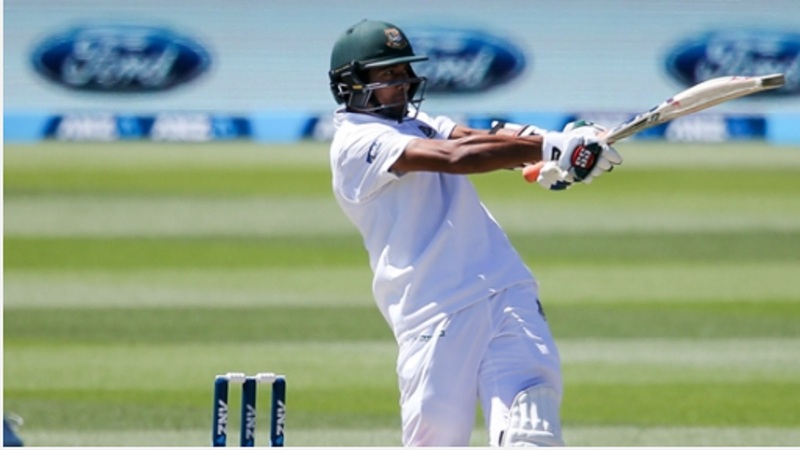 Jomel Warrican had Mehidy (18) caught behind before Mahmudullah cut Chase to the boundary to bring up his third Test hundred. Taijul Islam (26) also departed to an edge behind off Brathwaite and, three balls after being dropped by Hope, Mahmudullah was finally bowled by Warrican to end the innings. After the best part of two days in the field, the Windies batsmen looked weary as Brathwaite fell to Shakib at the end of the first over for a duck. 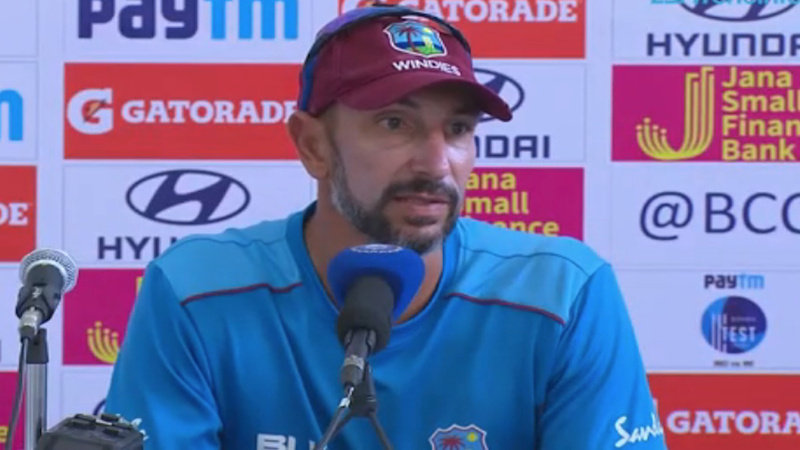 Powell (4) followed in similar circumstances five overs later to Mehidy, who also cleaned up Chase (0) and Hope (10) after Shakib had benefited from Ambris' (7) senseless charge down the track, summing up the Windies' day in a nutshell. Scores in the game so far are: Bangladesh 508, West Indies 75-5.